During the month of October as Halloween approaches the dangers for black cats increase. 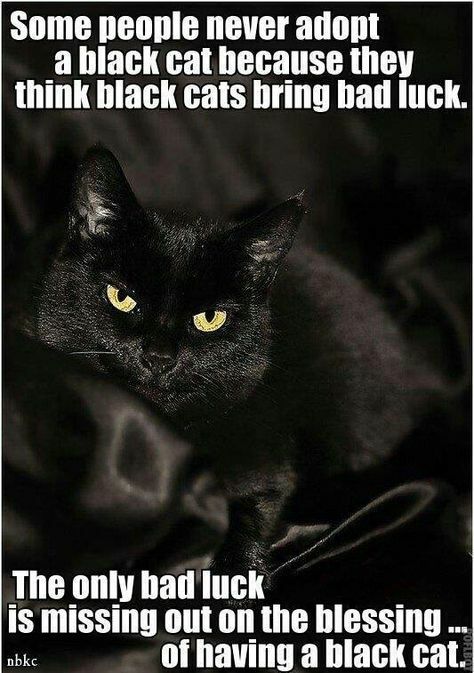 The superstitions of "bad luck" associated with black cats may lead to them being mistreated. In order to protect them, many shelters and rescues will not even adopt out black cats during October. However, the most prevalent danger for black cats (and all pets) arise when the increase in Halloween visitors give opportunity for them to escape and face real world dangers, such as: cars, coyotes, or getting lost. If you have a black cat please keep your kitty safe and secure especially during the month of October.